Let Chicago’s loss be Los Angeles’ gain, in particular South LA’s gain. 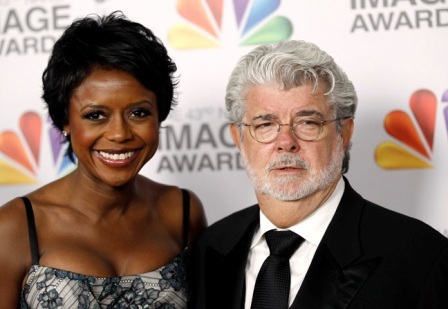 Earlier this year, Chicago snubbed the opportunity to become the home of the future Lucas Museum of Narrative Art, forcing the prolific movie director George Lucas and his wife Mellody Hobson to consider other locations, namely, Treasure Island in the Bay Area and Exposition Park in South LA. Lucas and Hobson, as well as their museum board of directors and staff, have met with numerous elected officials, park representatives, and University of Southern Cali­fornia leadership to explore the possibility of locating their museum in South LA. They also met with leaders of various community-serving agencies, many of them members of the newly formed South Los Angeles Transit Empowerment Zone (SLATE-Z) – a federally designated Promise Zone anchored by Los Angeles Trade Tech (LATTC). The petition cites the potential of the museum to be a transit-friendly, community-oriented multi-billion dollar investment in South LA that will not only create an accessible place for residents and visitors to enjoy the vast collections of art in all forms but that will benefit children and families in the surrounding communities. The members look favorably on construction and operations of the museum that will generate economic opportunity through the potential of local hire agreements on temporary and permanent jobs. They also note that the proposed facility will carefully balance the construction of a modern museum, significant green space within and outside of the museum, and the conversion of two asphalt parking lots into 600 additional parking spaces underground. The museum would also add to the educational programming for LA children and youth - particularly those who attend the more than 100 elementary, middle, and high schools in the South Los Angeles Transit Empowerment Zone. Furthermore, the Lucas Museum is committed to providing opportunities and pathways for young people to pursue careers in art, design, film-making, and technology. Lucas commissioned two sets of design plans by architect Ma Yangson in October. The museum represents a possible investment in excess of $1 billion when accounting for just the construction of the facility and the endowment. A decision is expected on which of the two locations will be selected in the coming weeks. Below is a list of 23 stakeholders and leaders serving South Los Angeles residents that support the Lucas Museum of Narrative Art locating in South Los Angeles’ Exposition Park.